In October 2014, POC were selected over several other companies to become the Rail Electrification Alliance (REAL) security partner during the East Coast Mainline Power Upgrade Project. This was awarded to us based upon our strong links with the British Transport Police, in-house ability to install, maintain, and maximise the efficiency of CCTV technology, higher skilled guards, and impressive track record for security at high risk sites with high worth assets. The security solution utilises the latest cutting-edge CCTV analytic technology to reduce the number of guards required, without compromising on the level of security. A mobile security team can then concentrate on patrolling the areas surrounding the sites, identifying suspicious behaviour, providing a presence at higher risk sites and busy construction areas. Since commencing the security provision, we have achieved a zero crime rate to-date. Our teams have highlighted several security concerns, which have been addressed to implement a pro-security culture amongst the client workforce, and provide a partnership approach to protecting assets. 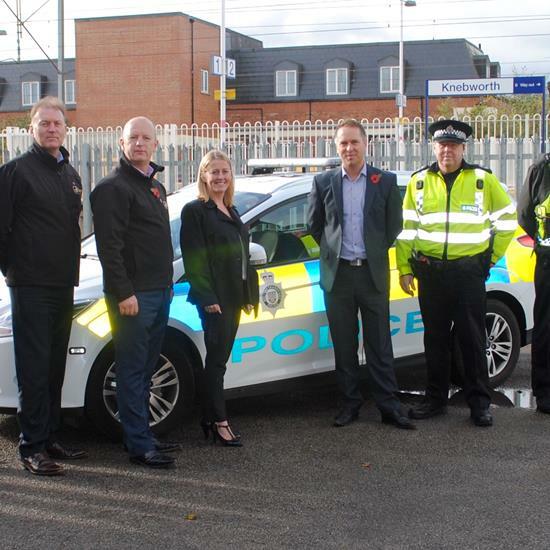 POC work closely alongside the British Transport Police, especially the Operation Leopard team, whose remit is to tackle metal theft along the transport routes in the United Kingdom. The team has commented that they have been extremely pleased with the approach POC is taking, and finds it very refreshing that a security company works in such close partnership to achieve mutual goals. Since beginning the project, several intelligence reports have been submitted directly to the BTP intelligence office via a single point of contact assigned to work with POC. This has led to some pro-active policing operations targeting suspected or known offenders operating in the area, sending a clear message that the rail infrastructure is protected to a much higher level that it has previously been. On the back of this successful partnership, the BTP have put into place a national agreement to provide POC a single point of contact for any areas they are providing security services within. Over all Christmas and holiday breaks, traditionally a high-risk time period for criminal activity, POC guards managed to ensure that there were no reported thefts from the sites on the project that POC were guarding. The feedback we received from this was extremely positive, with security managers stating that this was very unusual and an impressive example of a total security solution working as it was intended. To date, there have been no incidents of theft or other criminal acts on any of the sites that POC Management secures.